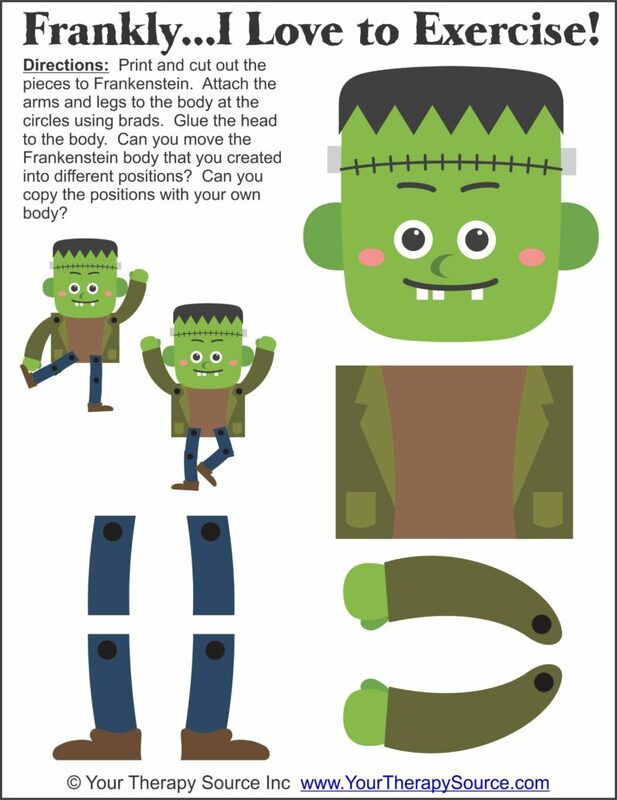 Print out this free Frankenstein activity to create. Cut out the pieces to the Frankenstein and attach with brads to create your very own exercising Frank. Kids can move the joints on the Frankenstein and try to copy the movements. Work with a partner – one child moves the joints and the other child copies Frank. DOWNLOAD Frankly…I Love to Exercise for free. Need more Halloween activities? 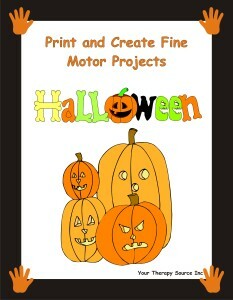 Check out all of these resources to encourage sensory motor development with a Halloween theme. 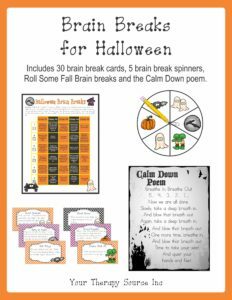 Brain Breaks for Halloween – Download includes 30 Halloween themed Brain Breaks, 5 brain break spinners, Roll Some Halloween Brain Breaks and Calm Down poem. 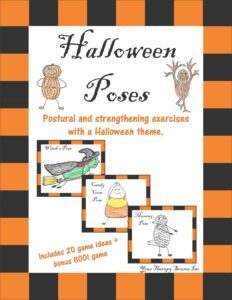 Halloween Poses – includes 12 full size pages with one Halloween pose and directions per page, 3 pages of the 12 poses in smaller sizes, 20 games ideas to use with the poses and BOO! game cards and directions.